In November of last year, our state was rocked by the stunning news that long-time Mississippi Department of Corrections (MDOC) Commissioner Chris Epps was resigning from office under indictment for federal corruption charges. Not long afterward, Epps and local businessman and former legislator Cecil McCrory pled guilty to felony charges that detailed a shockingly simple scheme of kickbacks and bribes paid to Epps in return for MDOC contract business for companies owned by or represented by McCrory. 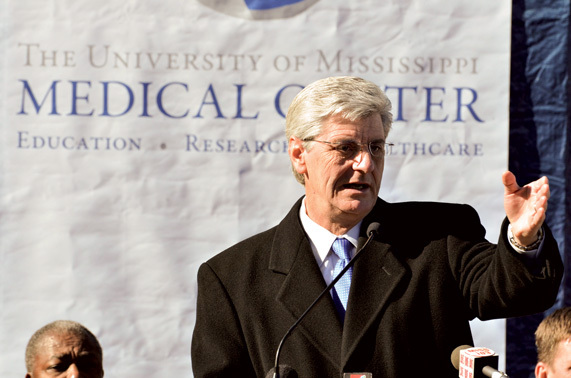 Immediately following the indictments, on November 7, 2014, Governor Phil Bryant created by executive order No. 1346 an oversight body that he named the “Task Force on Contracting and Procurement in the Mississippi Department of Corrections.” The governor named the author of this article and former Hinds County Circuit Judge Robert Gibbs as co-chairmen of the Task Force, to which the governor also named former Attorney General Mike Moore, former Assistant Secretary of State Constance Slaughter-Harvey, and former legislator and IHL board member Bill Crawford. By letter on November 14, 2014, Governor Bryant broadened the scope of his earlier executive order, and charged the Task Force with the work of performing a comprehensive review of all contracts for goods and services and all details of the contracting and procurement process at MDOC. The governor called for a preliminary written report by December 31, 2014, and a final written report at the conclusion of the work of the Task Force, which was left open-ended. Vendors and prospective vendors to all agencies of state government, not only those doing business with MDOC, were understandably focused on the work of the Task Force. Those who were conducting business in compliance with state law and best practices had an understandable concern that their legitimate contracts not be undermined. And, of course, those whose contracts were suspect, either because of having been named in the federal indictments or obtained outside the competitive bid process, knew that their work was in the Task Force’s spotlight. Once the entire membership of the Task Force was named on November 21, 2014, the Task Force immediately set to work, and convened three times between Thanksgiving and New Year’s Day, submitting a detailed set of written preliminary recommendations to Governor Bryant on December 31. 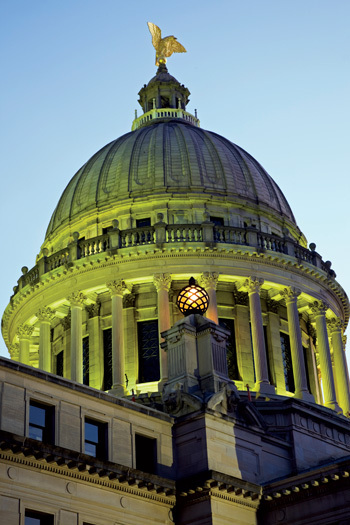 The Task Force’s primary focuses in submitting its recommendations were the safeguarding of taxpayer dollars and significant movement toward restoring the confidence of the people of Mississippi in the operations of their state government in the wake of the MDOC corruption scandal. The Task Force held regular meetings to gather input from agency heads and staff, as well as public hearings attended by many citizens, and in the process received many hours of comment from family members of inmates, from vendors, and from prospective vendors. In addition, the Task Force was inundated with letters, telephone calls, and email messages detailing concerns of people doing business with or who had family members in the custody of MDOC. Many of the issues raised by public comment were not within its purview, but the Task Force considered them significant and worthy of consideration, nonetheless, because they touched on the administration of both contractual and custodial issues by MDOC. MMA members will be interested in a number of the final recommendations of the Task Force, since much of the work of the Task Force will likely have effects not only in the procurement practices of MDOC, but of other state agencies as well. Indeed, the 2015 regular session of the legislature implemented a number of the preliminary recommendations of the Task Force, imposing a higher level of scrutiny and oversight for state government contracting and procurement in all agencies. Although many recommendations focus on personal and professional services contracts, many also have direct implications for contracts for manufactured goods and related services. The State require contractual warranties and representations from each vendor entering into a personal or professional service contract with a state agency that no consultant has been or is to be retained by the vendor in connection with the securing of the contract or the provision of goods or services under the contract, or, if a consultant has been retained by the vendor, fully identifying by name, services provided and fee paid to and received by each consultant retained by the vendor, in a manner similar to reporting requirements for lobbyists and lobbyists’ clients under Mississippi law. The State require contractual warranties and representations from each vendor entering a personal or professional service contract with a state agency, identifying by name and address each principal of the vendor owning or controlling a greater than 5% interest in the vendor’s business. The State require all businesses desiring to enter into personal or professional service contracts with the State to register as vendors with the Secretary of State. Demonstration of proof of registration should be required of prospective vendors at the beginning of any procurement process. The State require that MDOC become a “certified purchasing office.” This certification requires that at least half the staff in an agency’s purchasing department receive national certification and for all staff to attend annual training. After reviewing a number of MDOC RFPs during its term of service, the Task Force believes the RFP process at MDOC needs improvement. Obtaining “certified purchasing office” should be part of that improvement. The PSCRB should consider requiring this certification for all agencies that issue complex and/or costly RFPs. The newly reconstituted State Personal Service Contract Review Board should conduct a comprehensive review of existing procurement rules and the development of recommendations for improvement. In particular, the board should provide for diligent review of agency RFP evaluations and awards. The State eliminate all statutory exemptions from the bid process for MDOC contracts totaling $75,000 or more, or that the Governor by executive order require MDOC to use the competitive bid process even where not statutorily required. The State grant the State Personal Service Contract Review Board or other appropriate agency authority to review and approve agency “net-of-fee” contracts. At this time, contracts of this nature, such as the MDOC commissary contract in effect at the time the Task Force was commissioned by the governor, do not come under the authority of any contract review agency. The State require an appropriate state agency (e.g., Office of State Auditor or Ethics Commission) to conduct financial status reviews of state agency heads at least every four years, with potential problems reported to the attorney general for investigation. Additionally, more detailed annual financial disclosure should be required of state agency heads. One unfortunate truth about the way government does business is that it often takes the occurrence of some great crisis to move government to action. 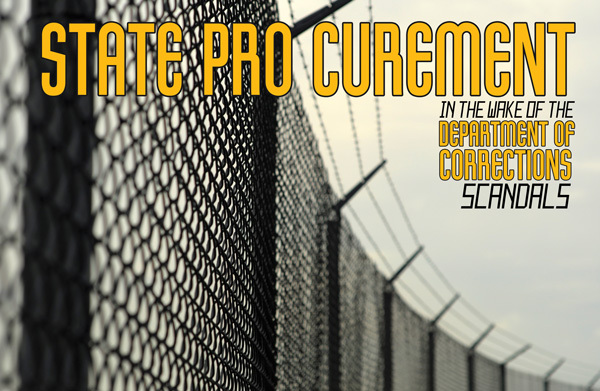 In the case of the corruption of the contracting process at MDOC, it is particularly troubling that technical requirements of the State’s procurement practice were all actually followed – and the taxpayers were nonetheless bilked out of over a million dollars, at least that we know. In the wake of this crisis, though, our State’s policy makers in both the executive and legislative branches have been refocused on contracting and procurement as an area that calls for constant vigilance. The State has a legitimate and powerful interest in protecting the public trust that comes with the management of taxpayers’ dollars. The State also has a legitimate and powerful interest in protecting the reputations of honest, hard-working business owners and state employees, most of whom go to work every day just trying to do their jobs as best they can. A net-of-fee contract is one for which revenues generated through the contract pay the costs incurred by the contractor (i.e., no state funds are expended out of pocket). A founding partner in Taggart, Rimes & Graham, Andy Taggart was previously a partner in the state’s largest law firm and has held an “AV” rating from Martindale-Hubbell® for fifteen years. Taggart’s practice is focused in the areas of business and corporate counsel, transactions and strategies; healthcare; selected litigated matters; and government, elections, and political law. Taggart has served on numerous boards and committees, has twice been a gubernatorial appointee, and was Co-Chairman of the Mississippi Department of Corrections Task Force on Contract Review and Procurement in 2014. Taggart is highly published, including two popular books, which he co-authored: Mississippi Politics: The Struggle for Power, and Mississippi Fried Politics: Tall Tales from the Back Rooms.